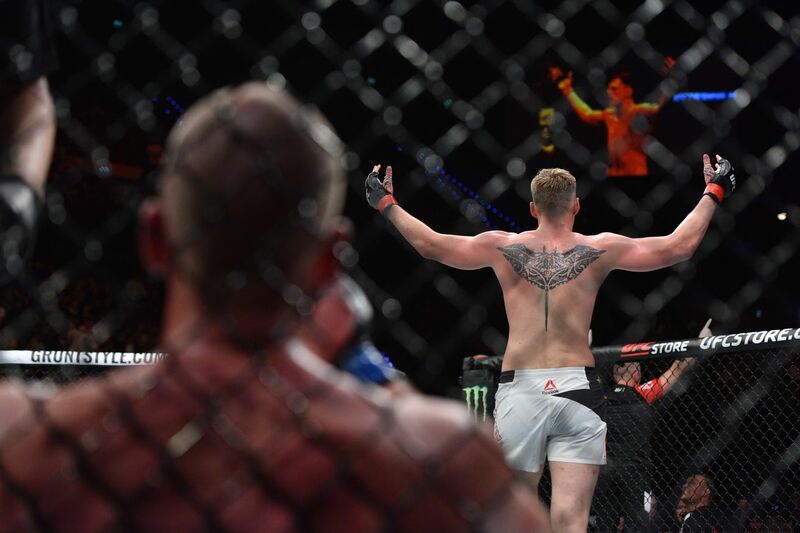 Home MMA News Monday Morning Hangover: What’s next for Stefan Struve after knockout loss at UFC Rotterdam? Monday Morning Hangover: What’s next for Stefan Struve after knockout loss at UFC Rotterdam? Another weekend of fisticuffs has come and gone, as UFC Fight Night 115 blew the roof of Ahoy Rotterdam last weekend (Sat., Sept. 2, 2017) in Rotterdam, Netherlands. In doing so, Struve continued his inconsistency in the fight game, as he’s gone 3-4 over his last seven contests. Those are just the breaks, says Struve, as sometimes you’re the hammer, the next you’re the nail. Finding consistency, though, is tough, especially in the land of the big men where one punch can literally change the course of your night, and career. That’s why the Heavyweight strap has never been defended more than three straight times. Getting to a title fight is even tougher, as trying to string together a good enough win streak to get to the big dance is a challenge in and of itself. But, after eight years and 19 fights inside the cage, “Skyscraper” has yet to get his first-ever title fight. Sure, he’s still 29, but everyday there are younger and hungrier fighters trying to make a name for themselves in the heavyweight division, so getting to a championship bout is more challenging than ever. And don’t forget about the older veterans and ex-titleholders who are looking for one last shot at gold. That said, Stefan has the talent and time to get there. After all, he does have a win over current division champion Stipe Miocic. Sure, it was during Stipe’s early UFC days, but that should be a confidence booster for Stefan. As for what’s next for Struve, call me crazy, but I’d like to see him rematch Travis Browne. “Hapa” holds a knockout win over “Skyscraper” dating back to 2015, but the hard-hitting Hawaiian hasn’t tasted victory in his last four fights. A matchup between the two goliaths will show us exactly where they are in their respective mixed martial arts (MMA) careers. Plus, it’s a chance for Struve to get some revenge, while Browne can get back on the winning track if he can take down a combatant he’s knocked out once before.